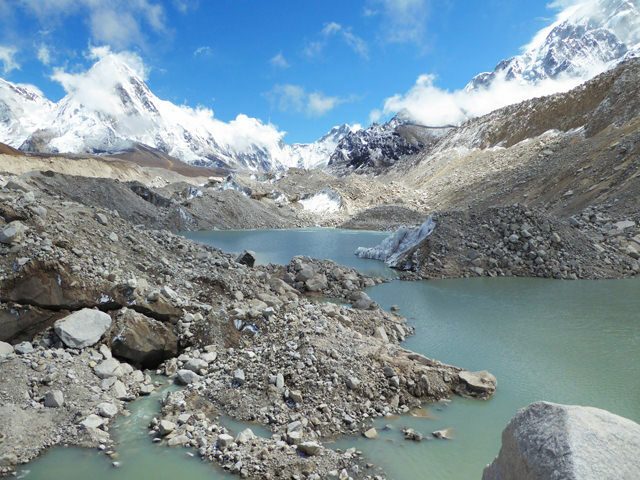 Khumbu Glacier is thinned by an average of ~1 m per year (1984‒2015) where the insulating debris is thinnest close to Everest Base Camp. 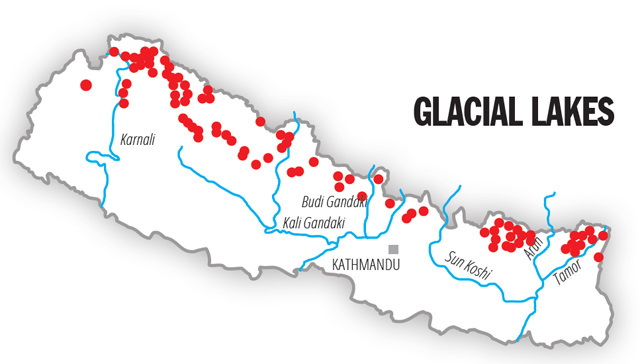 The spatial distribution of thinning leads to a flatter glacier profile, although local relief can still exceed tens of metres. 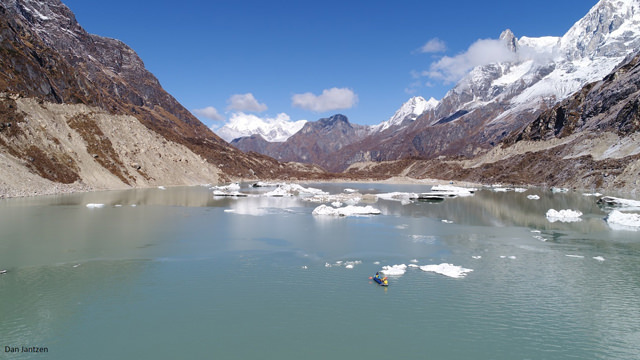 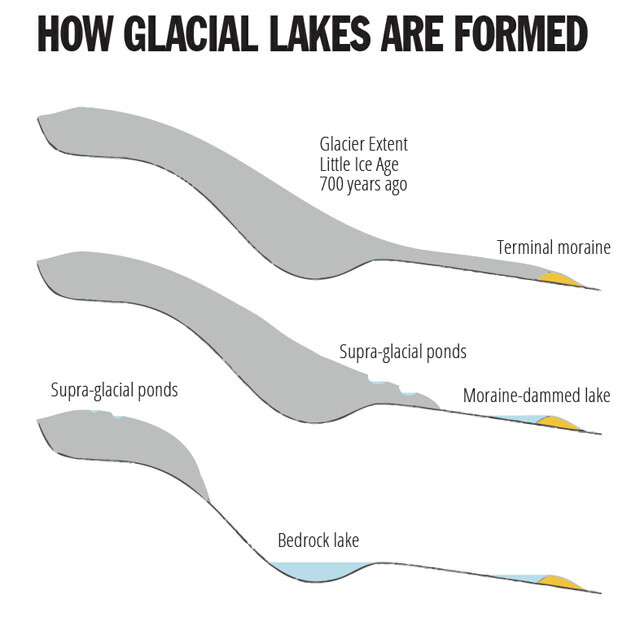 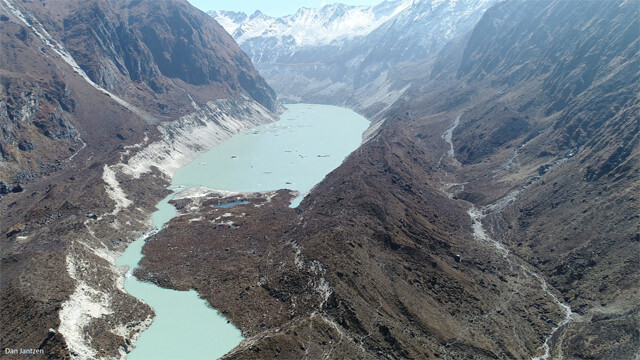 A flatter glacier is more prone to water ponding on the surface, which can eventually form large glacial lakes.